Not what I expected. 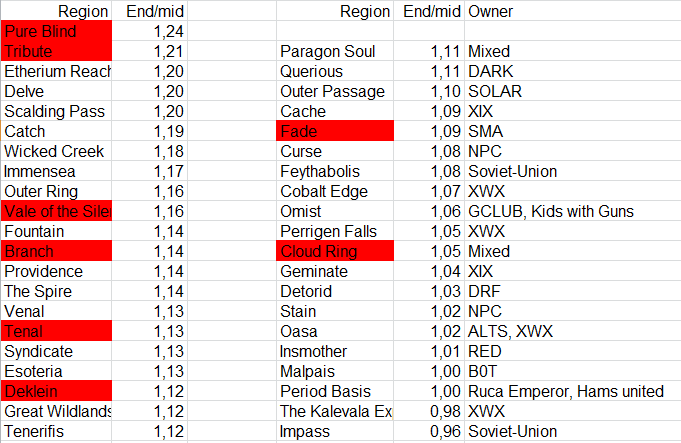 The only 2 Imperium regions (marked as red) in the bottom list has SMA and its local pet J4LP. Now that won't surprise anyone. But the rest of the Imperium regions are in the top half with #1 and #2 positions held by the Imperium. Now there is a reasonable explanation why Imperium ratters are sitting at their computer, watching local and intel channels in Pure Blind. But the rest can only be explained by accepting that Imperium ratters are mostly humans. This is the best thing about numerical data: while I entered this research with a solid pre-conception, I found a clear result and has to accept that. Of course it doesn't mean no Goons would ever bot, it means that they are below-average bot users. Who are the worst botters? Renters and Russians. Sad, but true. PS: I received a video from Samael Curtis, one of the top PvP-ers of MoA. It shows his solo adventures against the minions of Evil. Most of it is real PvP (engaging other PvP-ers who point him), but of course ratters get their share of love too! > This is the best thing about numerical data: while I entered this research with a solid pre-conception, I found a clear result and has to accept that. Of course it doesn't mean no Goons would ever bot, it means that they are below-average bot users. Big of you to admit it - but entering *any* line of enquiry with a solid pre-conception is risky in terms of bias. Sure you can have a hypothesis which you should then test and attempt to falsify but preconceived notions lead you to find things in data which simply isn't there. This is known as Confirmation Bias. Of course your research is based upon some assumptions that may not be true. The biggest assumption is that humans rat mostly on weekends and not during the week. From my own experience (and the experience of many of the other guildmates I played with) your assumption is not true. Most of my MMO play was during the week. I would play at night after work. I rarely played on weekends since I was always busy doing other stuff. Any weekend game time was generally done on Sunday night. Weekends was for spending time with friends and being social since I did not have to work the next day. I found I had more free time for MMOs during the week because I would never schedule social events during the week because I would have to work the next day. @Jim L: strangely, highsec ratting has the weekend-weekday pattern. Botting in highsec has little point as it has the biggest likelyhood to get reported. I would imagine there is a reasonable difference between high-sec / null-sec ratting during the weekend. In high-sec you can rat relaxed, partially afk as you drink your morning / afternoon coffee and catch up with the world on facebook etc. Personally I used to do this before I invested in a family life. I can't see that being "as much as" an option in null-sec due to the need of local attention because of groups like Moa. Jim is right though, play patterns differ. 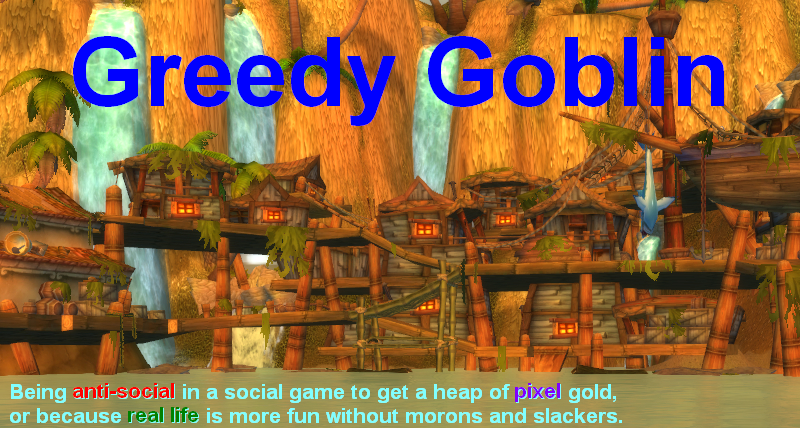 Assuming that the only reason for more weekday play is botting is a silly assumption. "Botting in highsec has little point as it has the biggest likelyhood to get reported." Not entirely true. The players that most people report in highsec are multiboxers, not botters. If a botter is in highsec he's often got his characters split up across regions, looking like solo characters so that they don't get reported much and they are safe from most hostility. So botters certainly do exist in highsec, people just don;t know how to spot them. They are too busy reporting the guy with 10 accounts being played manually. Also, market bots. Most of them in highsec. One day you'll get into a 100% rented world of c6-wormholes. 5-10 billion isk per month rent price. 50-100 billion isk worth of blue loot weekly for a 2-3 hours daily farm. That's where bad people are sitting. Not within a 100kk isk/hr gecko thanatos. Jim is right about differing play patterns as applicable to individuals, but in aggregate the weekday/weekend trend is clearly true not just for EVE but for practically all online games (and activities in the RW too!). It's a reasonable assumption to make backed by a significant amount of data. "I would imagine there is a reasonable difference between high-sec / null-sec ratting during the weekend. In high-sec you can rat relaxed, partially afk as you drink your morning / afternoon coffee and catch up with the world on facebook etc. Personally I used to do this before I invested in a family life. I can't see that being "as much as" an option in null-sec due to the need of local attention because of groups like Moa." Why do you think MOA and other alliances red to the Imperium gets all those ratter kills? Most people in the Imperium rat semi-afk regardless of any neutrals in the area. Random fact: It was a goon who worked at CCP who purged the vast majority of bots.